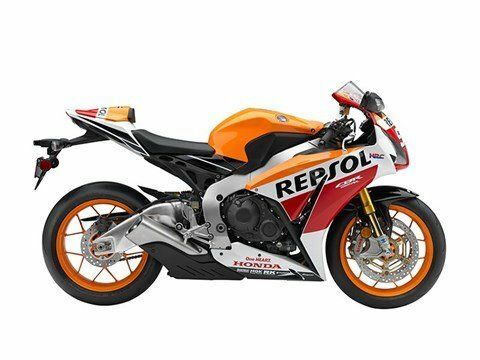 SPECIAL CBR1000RR SP REPSOL EDITION: The CBR1000RR SP features a slew of race-ready parts all wrapped in Repsol graphics inspired by the two-time MotoGP Champion Marc Marquez. LIGHTWEIGHT CAST-ALUMINUM SEAT RAIL: On the CBR1000RR SP a firmer, single-seat design with a special pillion cover and a cast and machined aluminum subframe reduces weight and helps speed track day prep. 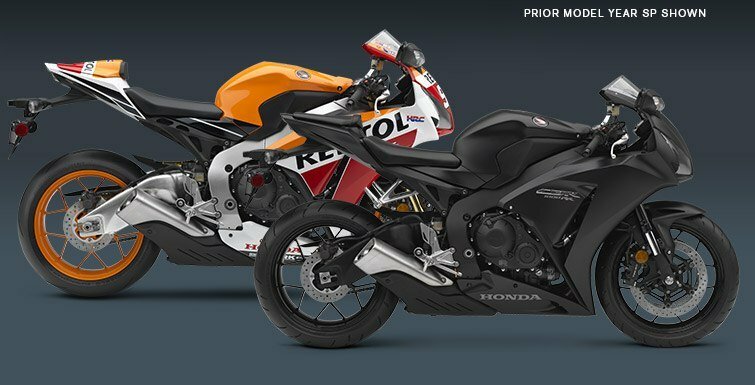 HAND-SELECTED PISTON AND CON-ROD: The CBR1000RR SP pistons and con rods are hand-selected and weight-matched to improve engine performance. PIRELLI DIABLO SUPERCORSA SP V2 TIRES: The street-legal Pirelli Diablo Supercorsa SP tires offer grip and handling in one high-performance tire. The 12-spoke wheels also feature a unique pinstripe design. ÖHLINS FRONT AND REAR SUSPENSION COMPONENTS: The CBR1000RR SP features a forged and machined top bridge, fully adjustable NIX30 front suspension, and TTX36 rear shock for superior suspension performance and adjustability on the track or the street. BREMBO MONOBLOC FRONT CALIPERS: The race-proven Brembo monobloc calipers are light, but they provide exceptional stiffness and excellent braking performance.